You probably have a good site. Could it be better? Most likely. As a lawyer, chances are you don’t have the spare time to redesign your own website. But this doesn’t mean that your input doesn’t matter. It’s important to be involved in the legal website redesign process not only because you’ll feel good about contributing, but also because you hold the foundation for the overall message and experience that you want your site to deliver. After all, your website is a direct reflection of you as an attorney and your law firm as a whole. The most important thing to remember about website design is that it must be geared towards converting a visitor – think about the target audience you are trying to reach. This is why the design and layout must be created with the user in mind. SEO will draw traffic but your site has to get visitors to call you. Here’s one way to think about it: if a person is in a difficult situation and comes to your website seeking help, information, and answers to their questions, what would they want to see or hear from their potential lawyer? Conversions should be the whole objective when it comes to design. Because site design is so subjective, no matter what a designer or you may think it looks like, if 100 people come to your site and 100 people turn into clients, there’s something that is right about your site. The same applies to low site visitors in regards to there being something not-quite-right about your site. Everything in design is so subjective that conversion is going to be the only thing that is the tell-tale sign of a good site whether you think it’s ugly or not. Part of letting go of your old site is accepting that you need help and you won’t be able to be in complete control of this one. Your input matters and can go a long way in giving web designers the information they need to translate your ideas into an actual product, but you have to let the designers take the lead – that’s what you’re paying them for. As much as you may like a certain color, banner, or image, keep an open mind and take input from your web designer to heart if they have an objection. Sometimes ugly sites convert and sometimes great looking sites don’t convert, so find out what is going to get visitors to contact you. If a designer comes up with something you might think is ugly, there may be underlying reasons behind that design, such as your designer thinking about usability and what is the best way to convey your message. Web designers are constantly thinking about usability, SEO, and catching the attention of the viewer in that first 8 seconds or less. Of course you want to get your personality into the design because it is about you, but you may have to compromise some of that in the midst of converting your audience. Once you’ve thought about how to balance what your visitors need and how you want your site designed, you can start collaborating with your website designer to make your dream site into a reality. 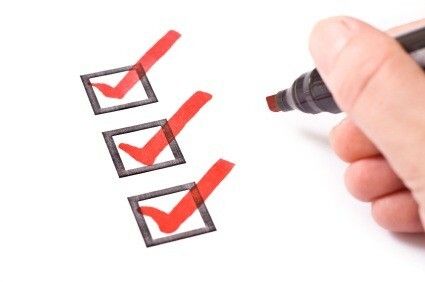 Please check in again later this week for Part Two, What’s On Your Site Redesign Checklist?